Garage floor coatings can provide ample resistance to water and chemical wear as well as preventing rapid aging that’s caused by foot traffic and vehicles. Though garage floors are made to be durable and sturdy, over time, divots, cracks, and staining can appear that not only makes your floor look dingy and shoddy but can contribute to premature aging and costly repairs. Garage floor coatings can prevent these occurrences by providing remarkable reinforcement to your floor. To learn more about garage floor coatings in Waco and Temple, TX, call our professionals at 254-716-8685 today. Like most concrete coatings, there are multiple types that can be used, each with its own benefits. Garage floor coatings offer a great selection with more protection than standard garage floor paint. Acrylic coatings provide resistance against water, oil, and foot traffic, and are available in multiple colors and tints, while silicone coatings offer unbeatable flexibility and impact protection. For increased chemical or solvent protection, an epoxy coating may be ideal for your floor. While acrylic coatings are the most affordable, they tend to hold up for only two years before beginning to deteriorate. Epoxy coatings are much longer-lasting and can hold up for up to 20 years before needing to be reapplied. To get more information on which of the garage floor coatings for your Waco and Temple, TX property will be most beneficial to your eSquared Asphalt Maintenance structure, call our experts at 254-716-8685 for more information. Our experts will apply your floor coating with care and efficiency to ensure lasting protection for your flooring. We discuss your coating options with you, providing details on benefits, cost, and lifespan to help you make an informed decision on your garage floor. We provide step by step explanations so you are in the loop at every turn, and you end up with the finished product that you’re expecting. For reliable application of all types of garage floor coatings in Waco and Temple, TX, call our experts at 254-716-8685 to schedule your consultation. Your garage floor is worth protecting. We offer extensive protective services for your concrete in addition to coating services including garage floor painting and concrete coating. We will discuss all of your options with you and help you select the best route for your floor. We provide only the highest quality garage floor coatings and paints available and have decades of experience in application and composition so you can rest assured you’re getting the best service available. 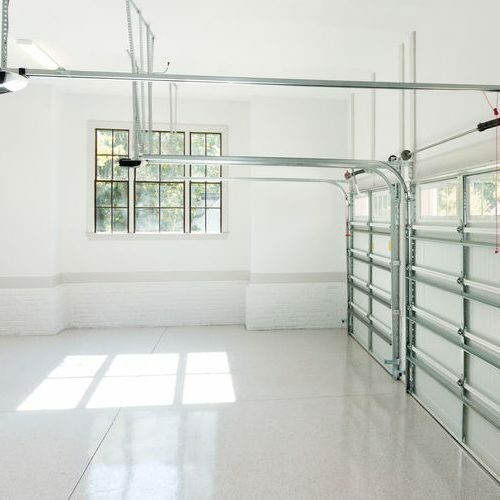 Our professionals are ready to answer your questions and provide excellent workmanship so you are left with a garage floor that’s sturdy, beautiful, and long-lasting. Call our professionals today to schedule your appointment.